Bad news sells much better than good news. It seems like noise that portends to doom gets much more press and acknowledgement than good news. Seeing this, I’ve been tracking an individual I’ve dubbed Dr. Doom for about a year now. 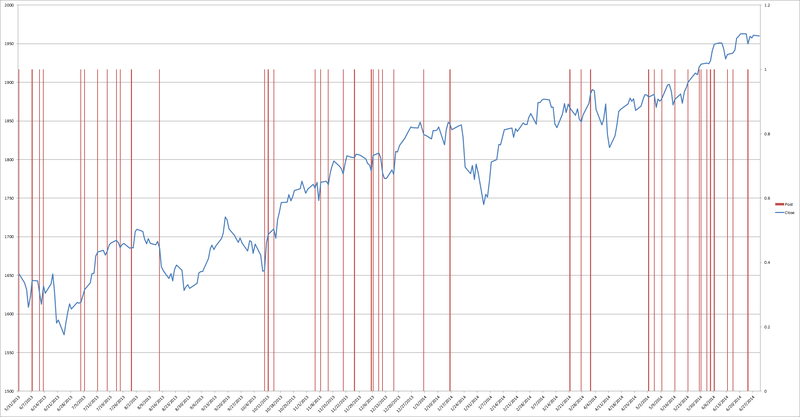 The following is a daily chart of the S&P 500 [blue] and days when he’s posted in red. Keep in mind all his posts are bearish. He seems to post whenever conditions are overbought or an oscillator goes on a sell due to some weakness. However, the market has been pretty resilient since 2013. My guess is whatever oscillator Dr. Doom is looking at is way overbought at the moment. By default, being a perma-bear is much harder than a perma-bull due to the difficulty of picking tops versus bottoms. Seeing this, I can see how anyone new [or even experienced] to trading can get run over much more often trying to pick tops instead of bottoms. I don’t have any useful conclusions on fading Dr. Doom, except that this person’s sentiment turns bearish extremely quickly. 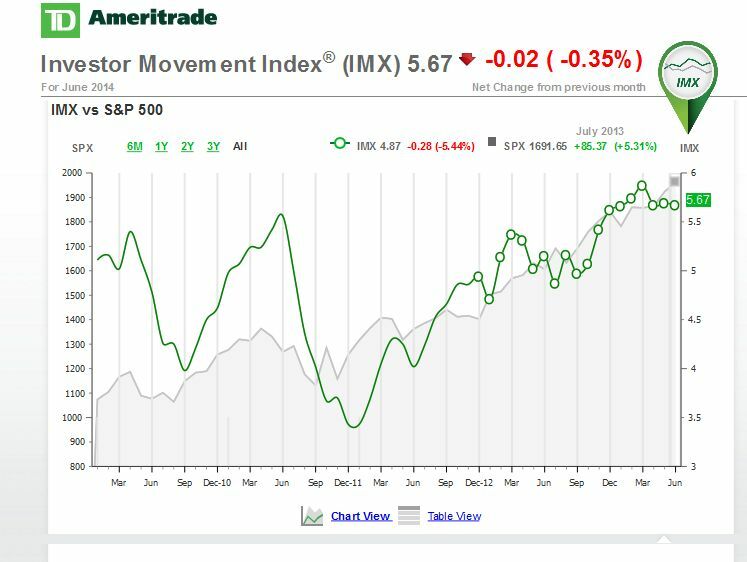 It seems like main stream investing is on the decline. I’m not sure if it’s a sign of the times or a sign that the current bull market is still in it’s infancy. I always like to keep in mind that correlation does not mean causation. CNBC isn’t the only network for financial news, but it’s one of the main sources for retail. 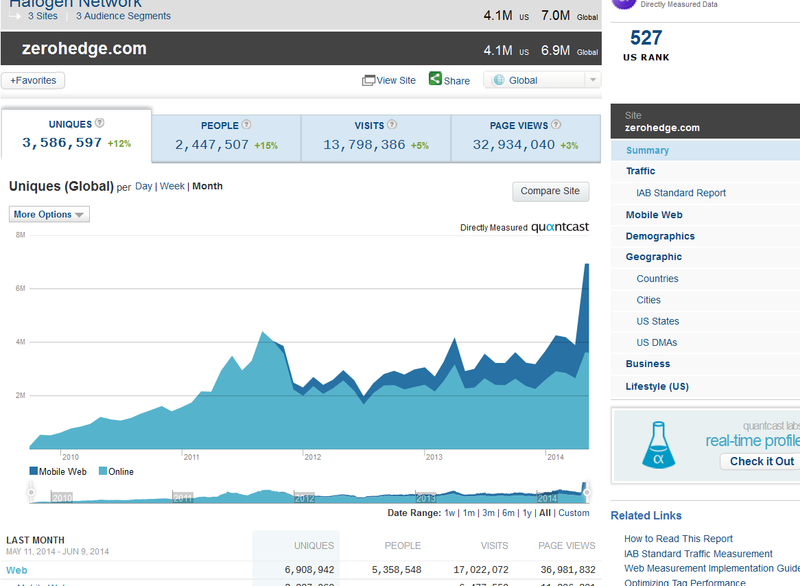 Zerohedge – Site traffic has continued to rise despite IT bullish tape. 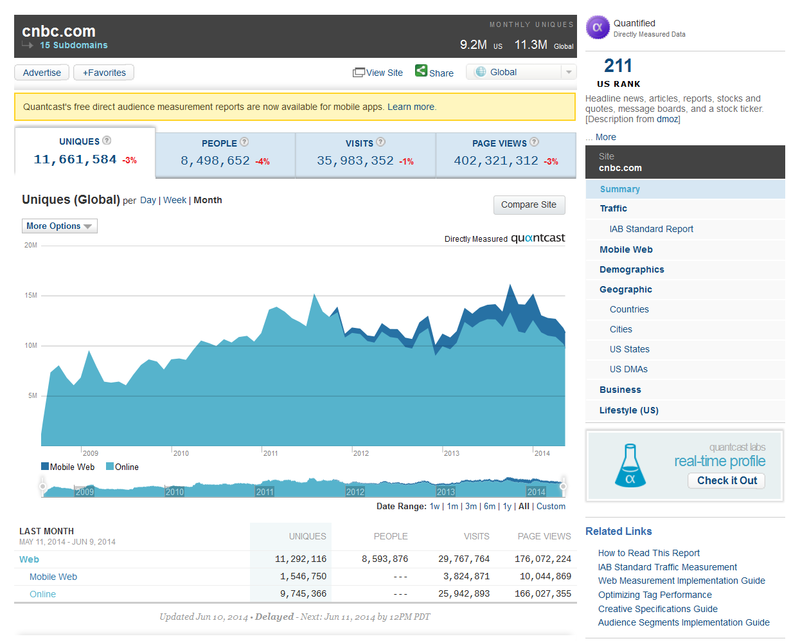 CNBC – Traffic has been falling since October 2013.